Whether it is held at a historical Chicago landmark or in your own backyard, Calihan has the experience to help create your perfect event. 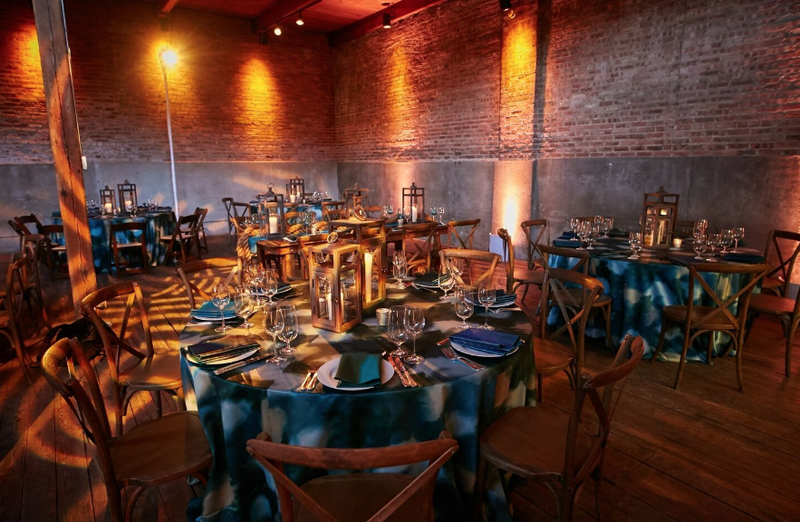 Venues create the mood for any event and Calihan Catering has exclusive or select access to some of the best cultural and natural settings in the Chicago area. Matched with our fine waitstaff and cuisine, your event can become an integrated idea, eloquently executed. Set the stage in the Graham Room at the dramatically elegant Lyric Opera House, envelop yourself in the history of the Chicago Historical Society, the patrician atmosphere of the Chicago Academy of Sciences, or go ultra modern at the current hot city location Millennium Park, designed by architect Frank Ghery. This is just a small sampling of the venues in which we have had the opportunity to cater events. Loft-like, with vaulted ceiling, exposed brick, skylights, as well as wood beams and floors, Gallery 1028 occupies a 4,000 sq. ft main room with a 2,000 sq. ft cocktail space and 2 foyers to make up an entree area. The clean and raw environment provides professional and private designers alike with unlimited branding opportunities and creative design concepts. Lyric Opera's Civic Opera House is one of Chicago's historic landmarks and among the world's most beautiful buildings. Built in 1929 and fully restored in 1996, the Civic Opera House is a hybrid of Art Nouveau and Art Deco designs and a majestic setting for entertaining on any scale - whether you have 30 or 3000 guests! The theater, spacious back of house, lobby and grand foyer and four private dining rooms are available to rent for weddings, corporate meetings, client entertaining, public ticketed events and more. For my wedding in August we went with Calihan Catering because, well, they’re the best caterer in the city. My entire experience from beginning to end was absolutely flawless. I HATED planning my wedding and Calihan picked up on that immediately - they eased the pain. The actual tasting was amazing and I wish I could eat like that every night- it was so hard to choose what we wanted to serve because everything was just SO good.